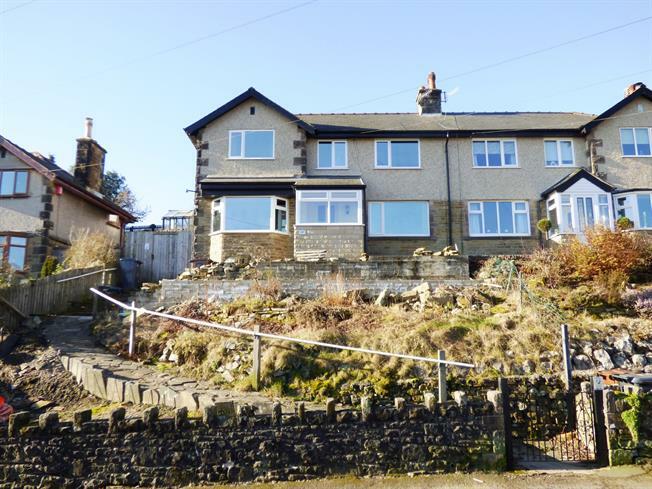 3 Bedroom Semi Detached House For Sale in Buxton for Asking Price £275,000. Bridgfords are delighted to offer for sale this superbly presented semi-detached property that offers accommodation to suit a variety of prospective buyers. A ground floor entrance porch opens to an entrance hall, two separate reception rooms, a fitted kitchen and a utility room, whilst to the first floor a bright and spacious landing leads to three well-proportioned bedrooms, a study and a family bathroom. Other features include spacious tiered gardens to the front, side and rear, gas central heating and uPVC double glazing throughout. Viewing is highly recommended.